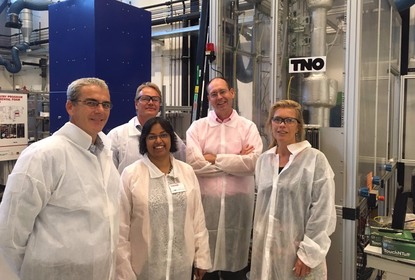 On 5 September, a delegation from Circular Energy visited TNO in Delft. Together with Sintef in Oslo, TNO is a leader in carbon capture research. The adjacent photo shows the Circular Energy team next to a CO2 capture test facility.